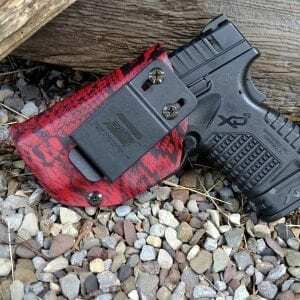 Raven Plastic Strut Clips for IWB concealment offer a tough snap over to guarantee a snug fit with an easy release. 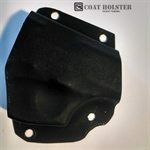 There are ridges on the back of the strut that prevent mounting hardware from damaging holsters and firearms. Each of the pre-drilled holes are 15mm apart center-to-center. Because the center hole is a slot, the strut can be rotated up to 10 degrees in either direction. They are sold as a pair.